GU Surrey End of Tenancy and Move out Cleaning | Quality Property Care Ltd.
You are changing your accomodation quite soon, and you are very worried about having your upfront payment back from your landlord? Quality Property Care Ltd. offers a professional end of tenancy cleaning service both for home and commercial end of tenancy cleaning needs in Surrey GU. The expert cleaning teams work in accordance to an authorized checklist of cleaning tasks, and is going to clean right up until every single point is accomplished. The end of tenancy cleaning company is so confident of the high quality of its services and the trustworthiness of its cleaners, that the service has a forty eight hours assurance. If the client or landlord finds a little something which is not washed perfectly, the cleaners will perform a second totally free cleaning. The end of tenancy cleaning price is affordable and the service provided is worth every dime. Get in touch with our customer care service or fill in an online query and you will receive a quick quote for the professional end of tenancy service supplied. We clean out cupboards and compartments, we clean on the inside removing any leftover foodstuff and packages. Expired meals we toss away one which is still usable we place to one side for the client or give away to a shelter nearby. Scars around the holders are taken away and unwanted things are thrown away. The rubbish bin is dusted as well as cleaned up on top and underneath, the soap dispenser is also washed. The sink is washed and cleared after that wiped dry. We clean and dry the wall tiles all-around the sink, whilst also removing food and soil deposits all-around the sink if any. We also treat the appliances inside and out, eliminating food deposits. To prevent fungal expansion and get rid of odours we employ anti-bacterial detergents with long lasting effects without any dangerous outcomes on individuals or animals. Established in 2006 in Surrey GU, Quality Property Care Ltd. has specialized in providing high-quality and trustworthy deposit back cleaning services. End of tenancy cleaning is needed when renters are moving out of a residence or business property they have been leasing/renting. The firm is very familiar with the demands of the property managers and estate agencies for the cleaning when moving out required for getting your deposit back. Based on all your needs, our company has created and approved a complete tenancy cleaning highlights with all assignments which have to be completed by the cleaning staff. 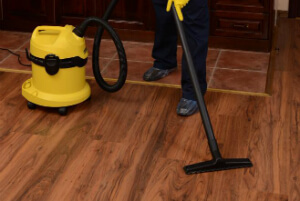 All of the cleaners are properly chosen and properly vetted, and trained. The idea of our company is to provide a service that can guarantee the tenants that they will get the home or office clean enough to get their deposit back from the property manager or owner. Kitchen equipment - freezer, chiller, dishwasher, washing machine, microwave, range, toaster - clean inside and out, removing oilish stains, and removing any residue. It is heroic to take care of the entire end of tenancy cleaning on your own, but it is definitely not the best selection at all. Instead of losing time in scrubbing up, rubbing and desinfection, you may deal with your removal: steadly and step by step, with no stress by the time. Using professional end of tenancy cleaning service from Quality Property Care Ltd. in Surrey GUis also more realistic as to the price. Why bothering with aggravating cleaning, when moving out is carrying so much stress? The affordable solution is here: sophisticated end of tenancy cleaning service that costs almost nothing! The greatest and the most careful end of tenancy cleaners in town are here to help you in this hard and dirty circumstance! Don`t forget to make a booking for our top quality end of tenancy cleaning service. We now have specific discounts on early reservation! Receive a free quote today! Dial 020 3746 4287 now - we are flexible and understanding and we will make you an appointment in a most practical for you time!